I am quite excited to be able to announce the imminent release of a new book on 75(NZ) Squadron RAF. This book is the latest of the RAF Bomber Command Profiles that were first published in the 1990’s and takes and extends the original format. Due to the special character of the Squadron, and the level of interest, Chris Ward and the publishers wanted to obtain input and perspective from New Zealand, and approached the NZ Bomber Command Assn. for assistance. Executive Officer of the NZBCA, Peter Wheeler, provided access to the Association’s extensive photo archives and offered the help of NZBCA member and 75 (NZ) Sqdn enthusiast (and our own) Chris Newey. The last history of the squadron, “Forever Strong”, was published in 1991, 27 years ago. While it contained many valuable personal recollections and photographs, there were some factual errors, and not a lot of operational detail. Given that, and the rare opportunity that this project represents, there was a determination from both parties to make the book as accurate as possible, and the photo collection as comprehensive as possible. 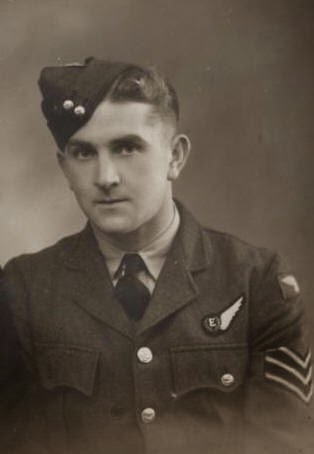 The text is written by Bomber Command specialist Chris Ward, and like his other Profiles, it is based around the squadron’s Operational Record Books. However he brings a detailed knowledge of 3 Group and the broader sweep of events that the squadron operated in, and makes the narrative easy to follow. The extract below gives an idea of the level of detail provided, attempting to include pilot’s full names, aircraft serial numbers, identification codes and details for all significant events, to give readers a strong starting point for further research. There are 395 photos included, many previously un-published, plus copies of rare documents, the NZBCA’s archives supplemented by sources that include the Air Force Museum of NZ, Archives NZ, Simon Sommerville’s 75nzsquadron.com, Auckland War Memorial Online Cenotaph, and several collectors, families and individuals who generously contributed to the project. The soft-back edition will be published in the next few days, to be followed at a later date by a limited edition, glossy hard-back. The soft cover edition will be available on Amazon, but other distribution and retail details still to be advised. 478 pages, 8.5 inches x 11, 175 pages of photos. Probably US$ 25 due to the size. I will update you all when I know exact dates of release, points of sale and price. I would encourage you all to support this publication as an essential printed reference companion to the blog. This entry was posted in general and tagged 1940, 1941, 1942, 1943, 1944, 1945, 75(NZ) Squadron RAF, Aviation, Bomber Command, Chris Newey, Chris Ward, Feltwell, Mepal, Newmarket, RAF Bomber Command Profiles on August 17, 2018 by 75nzsquadron. This entry was posted in general and tagged 1139, 1940, 1941, 1942, 1943, 1944, 1945, 75(NZ) Squadron RAF, Ake Ake Kia Kaha, Aviation, Bomber Command, Feltwell, For the Fallen, Mepal, Mildenhall, Newmarket, Robert Laurence Binyon on November 12, 2017 by 75nzsquadron. 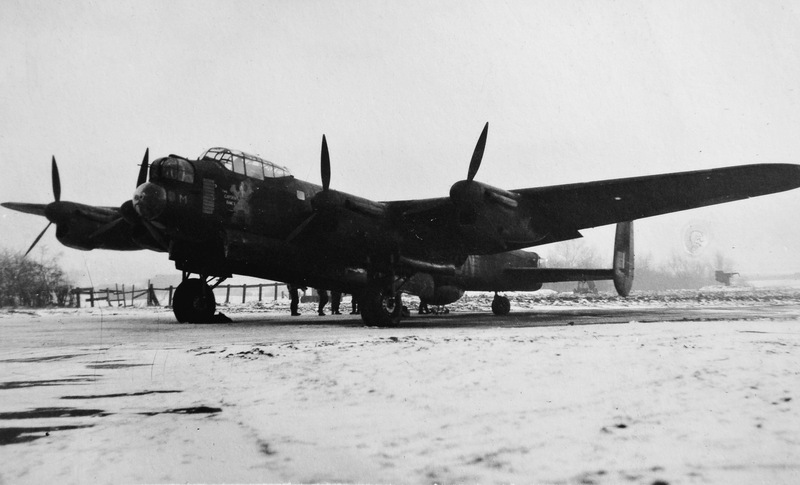 The Bailey crew boarding NE181 “The Captain’s Fancy” at dispersal, to begin pre-flight checks before flying to Krefeld, 29th of January 1945 – 99 op’s marked. A suitably wintery photograph of the Squadron’s most famous Lancaster NE181 “The Captains Fancy” prefaces this years Christmas message. Another year has passed and more remarkable material has so generously been shared by relatives of those who flew with the Squadron. The blog has grown considerably over this last year, now allowing access to Operational histories for every crew that flew with the Squadron during the War period. Where necessary, these histories also have loss details which include, where they exist, gravestone inscriptions. These crew pages will now form the main points of archive for material as it is added to the site – in this way, the crews will have their own commemorative pages and their contribution to the Squadron and Bomber Command will be recorded in memoriam. I would encourage you all to think where appropriate, about personal additions to the crew pages – I am keen to see these histories personalised – I know you are all so proud of the boys and I think this needs to be recorded as well. The blog now has a full set of transcribed Combat Reports. Whilst the archiving of these records has highlighted what appears to be significant gaps in this record, we now at least know where these gaps exist and the opportunity of course, now exists to keep an eye out to add to it. Recently, Chris submitted an update to the aircraft database and this prompted me start a more detailed presentation of the gathered research on the aircraft of the Squadron. As an equivalent record to the Crew Op histories, each aircraft will have its own operational history presented with, where it exists, a photograph of the aircraft and additional material and or information as and where it exists. This expansion to the database is another significant undertaking – but, as with the majority of the information presented to date, has it never been presented digitally before in a format that is accessible to everybody. You can have a sneak preview of what will for sometime be a work in progress here. The blog traffic continues impressively – recently passing 370,000 views. This translates to over 93,000 individual visitors with over 700 following the blog through WordPress, Twitter or Facebook. 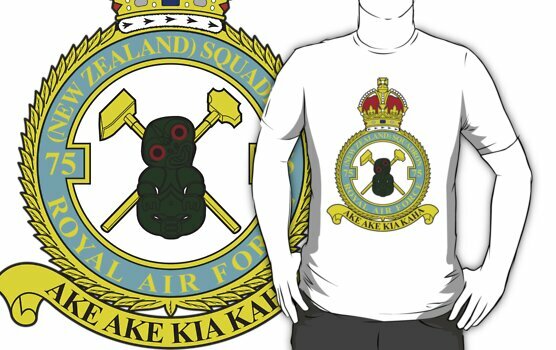 We are the largest, most viewed and most followed online resource dedicated to 75(NZ) Squadron RAF and as always I have to say that this is all thanks to you guys, the relatives and readers of the blog. My efforts to build the infrastructure for the site has meant that I have not been able to post as much as I have wanted and also to reply to what seems always now to be a significant backlog of emails – a New Years resolution is to get back on track with all this – I promise. So, to all of you from 75nzsquadron.com, I wish you a Merry Christmas and all the best for the New Year! 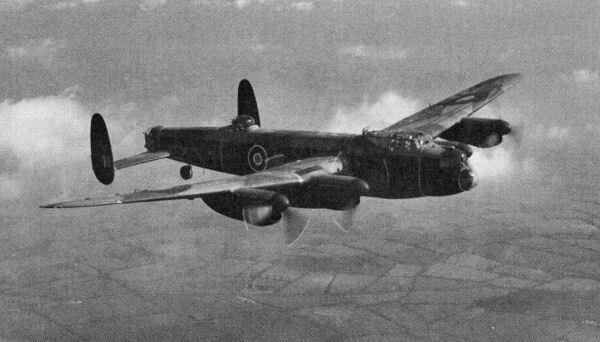 This entry was posted in general and tagged 1940, 1941, 1942, 1943, 1944, 1945, 75(NZ) Squadron RAF, Aircraft database, Bomber Command, Christmas 2016, Combat Reports, Crew Op histories, Feltwell, Mepal, Newmarket, World War 2 on December 25, 2016 by 75nzsquadron. 333,333 – a third of a million views………..
Albeit a little late, but another MASSIVE milestone was reached on Wednesday night when we clocked up a third of a million views for the blog – utterly fantastic and amazing. To think, to within a month of it being 5 years since Dad passed away, this ‘thing’ is still going and still adding to the information that we all now have to access regarding 75(NZ) Squadron RAF. Since the last significant viewer milestone of a quarter of a million views, the posts, thanks to you all have continued and also, the blog from a structural point of view has undergone some significant additions. In April, I was finally able to publish the fruits of some 4 years work of adding the Form 541’s to a database – physically meaning the addition of Op histories for every crew that flew with the Squadron during and after the War, before the Squadron was disbanded on the 15th of October 1945. This in itself is a massive addition to the site and as I said at the time, I do not think another record in this format exist for any other Squadron through the same period. Not long after I was able to also add the entire set of Combat Reports for the Squadron, transcribed and in numerical order. In time the relevant CR’s will be reproduced where necessary in the Crew pages. Having said all of this, the site would be fairly dry if it simply existed around the recorded documents that we have. Its depth, incredible scope and movingly personal relevance, is solely down to you, the readership. Without your contributions, your generosity, your patience and your support, the blog would be a far poorer place. All the amazing things that have been so generously shared over the last 4 and a half odd years has now, to be slowly moved to the relevant crew pages. The posts will all obviously still exist, but the crew pages will now become the enduring record for the crews that flew, died or survived the Squadron. I stand by my original view that this record is best placed as it is – digitally, on the web, available to all and able to be constantly updated. The blog, thanks to you, now has its own critical mass. It is the largest resource online for the Squadron and in real terms, regarding accessible information, is probably also simply the largest physical resource, full stop. Long may this continue, I see no reason why it will not. Thank you to you all – to all of the relatives and interested parties who have continued to care enough to bring new material to us. A massive and continuing thanks to Chris Newey, not only for his excellently researched posts, but also for his council and for, from time to time, being an ear I scream down when things start annoying me. A continuing thanks also to Peter Wheeler and the New Zealand Bomber Command Association/ Archive for continuing to provide access to Chris for all things 75(NZ) related. WE have got this far, because WE, collectively have had the will and want to do this. WE will carry on and make sure that THEY will never be forgotten……….. This entry was posted in general and tagged 1940, 1941, 1942, 1943, 1944, 1945, 333333, 75(NZ) Squadron RAF, Ake Ake Kia Kaha, Aviation, Bomber Command, Feltwell, Mepal, Newmarket, third of a million views, World War 2 on July 22, 2016 by 75nzsquadron.